On it's 20th anniversary, the boy wizard continues to stay relevant. 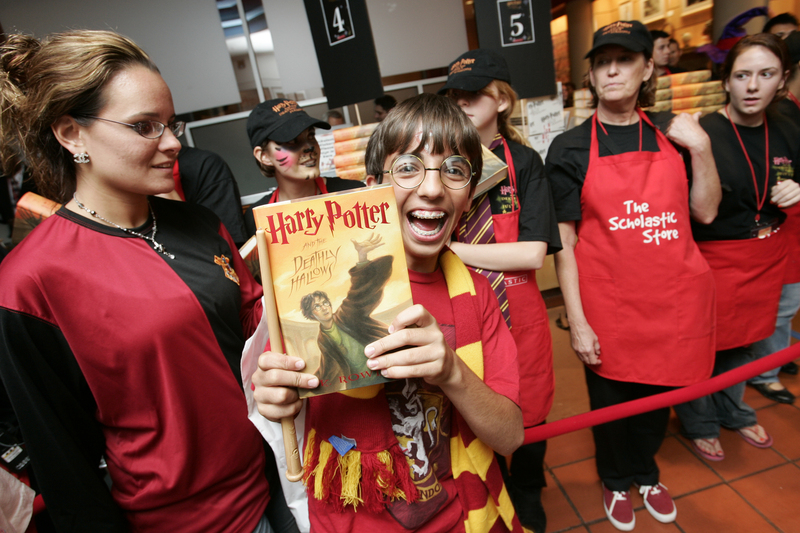 As the 20-year anniversary of the debut of Harry Potter in the US draws near, I believe that the course I developed more than a decade ago is still relevant for today’s first-year students, many of whom first got introduced to Harry Potter during their own childhoods. The class I teach at Vanderbilt University — simply titled “Harry Potter and Child Development” — uses the science of developmental psychology to deepen students’ understanding of the behavior of Harry, Hermione, and Ron — the central characters of the books — and the adults in these characters’ lives. Near the end of the semester, I include topics such as depression, perfectionism, the need for a growth mindset, and tolerance for differences — challenges that students entering college must grapple with to be successful. The seeds for the development of this course began back when I — like many parents in the late 1990s — spent many evenings reading the Harry Potter books to my then-young son. Most parents probably did not interrupt their reading of the Harry Potter books as I did when I would dog-ear a page or jot a note in the margin. Trying my son’s patience, I’d grab a pencil and write notes such as: “Great example of Harry as a resilient child.” Or I’d note how Harry and Tom Riddle — the two orphans in the story — turned out, compared to institutionalized orphans in Eastern Europe. When I came upon the part about Lily Potter instinctively stepping in front of a killing curse to save her infant son, imbuing Harry with an “old magic” that continued to protect him from the forces of evil, I wondered in my notes if that could be a metaphor for the lasting effect of secure parental attachment? Were Harry’s depression — during Dementor attacks — and if his adolescent anger is the result of hormones? Or were they expressions of childhood grief, age-appropriate responses to traumatic death? Werner looked back at her data to identify why some children were “resilient.” She discovered that resilient children tended to be intelligent or talented in some way. They tended to view school as a “home away from home” where they could feel safe. They were spunky or charming, with personalities that attracted adult attention. Despite their troubled upbringing, resilient children had some adult in their lives — a coach, teacher, or minister — who served as a mentor. And they ended up successful adults. Harry Potter seemed to fit the description of one of Werner’s resilient children in more ways than one. He had just 15 months to develop a secure attachment with his parents before their traumatic deaths. He then lived with relatives who abused him physically and emotionally. Yet he entered Hogwarts School, his “home away from home,” as a smart, spunky 11-year-old who had not been crushed by his experiences. Harry’s modest, charming personality drew mentors to him who filled the roles of surrogate family members, including Hagrid, the Weasleys, and Sirius Black. At school, professors McGonagall, Lupin, and Dumbledore nurtured Harry’s growing skills and talents. The loving oversight of all these mentors helped Harry grow into a successful adult and the hero of the story. 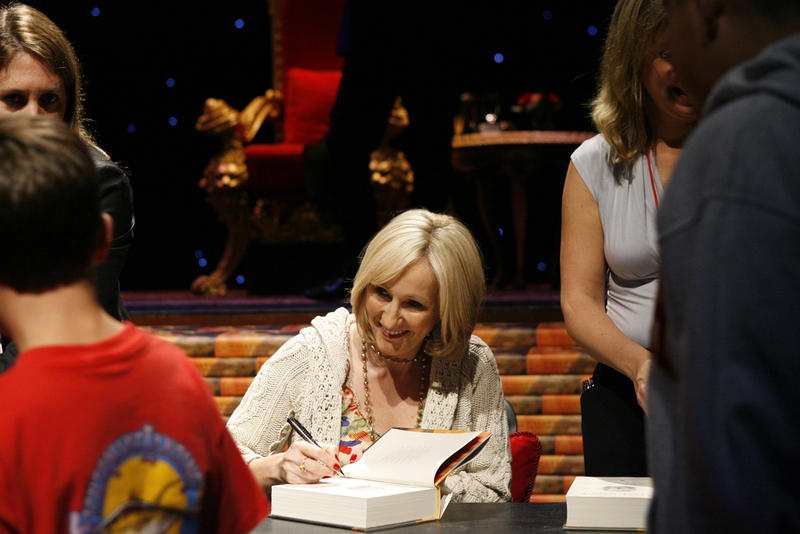 J.K. Rowling, author of the Harry Potter books, signing 'Death Hallows'. The students in my course are encouraged to note when Harry Potter’s development diverges from expected outcomes based on research. Realistically, an orphaned infant left in the care of people like the Dursleys would be unlikely to become our hero — if he survived at all. Yet Rowling’s astute observations about humans and their behavior — rich descriptions that prompted my note-taking back when I used to read Harry Potter books to my son — also offer college students psychologically realistic characters that capture their hearts while educating their minds. This article was originally published on The Conversation by Georgene Troseth. Read the original article here.